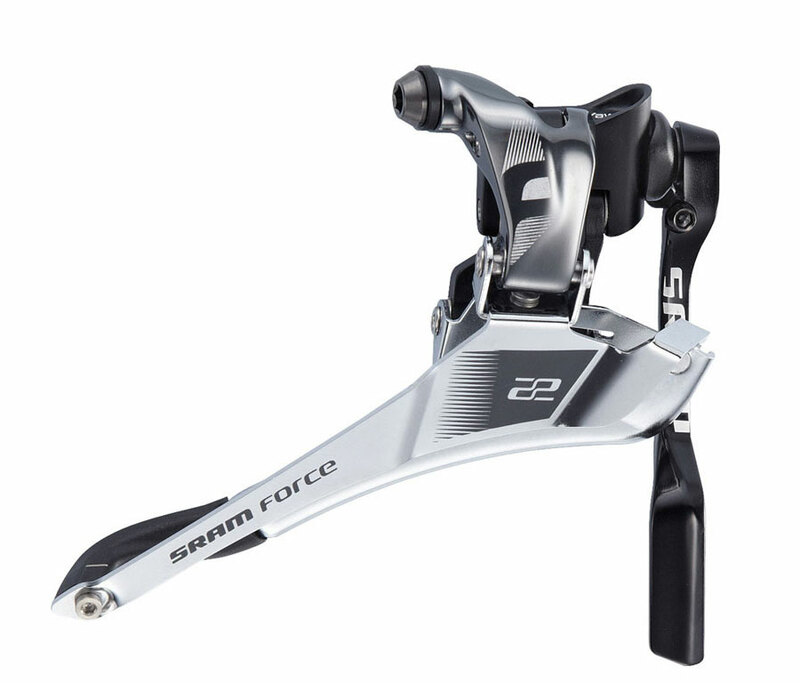 the SRAM Force 22 Yaw™ Front Derailleur actually rotates to maintain a consistent angular relationship with the chain. As a result, shifts feel more direct, more precise, system that works as one with the chain, cransket and chainrings. • Yaw™ cage rotates in line with chain, improving the shifting speed and precision while eliminating the need for shifter trim. • TRUE 22 – twenty-two usable gears in all gear combinations with no rasp or rub. • Slim spring design eliminates frame interference. • Durable, light, fast, precise and optimized to work with X Glide R™ chainrings. • Integrated chain spotter protects your frame, installs and adjusts independently of the derailleur itself.